Training & development programs should form an integral part of any organisation and if planned and delivered effectively, they have numerous benefits for employees and companies such as increased job satisfaction, better performance levels, increased profits and compliance with policies and standards. At Know Your Compliance we are lucky to have Train the Trainer PTLLS qualified staff who design, prepare and create our training programs, offering organisations a cost effective way to train their staff in key areas such as Data Protection and Information Security without expensive costs or lengthy training courses. Our training experts have put together programs that include industry leading Powerpoint presentations, group handouts, video links, assessment quizzes with answers and detailed notes allowing you to buy and deliver the training sessions for a one off price. 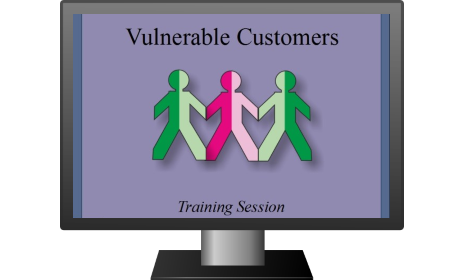 Our aim at KYC is to reduce costs and give you the power to train and inform when and how you want, without the need to pay per user or hire expensive training consultants. You will find the training programs easy to follow and deliver and having been created by PTLLS qualified trainers, all learning styles and formats have been thought of and covered.